This time of the year (autumn to winter) is the best time to plant some veggies if you want to grow them yourself and have a garden bed in your backyard. There are less pests and diseases; they need less water and with the cooler weather everything grows slower which makes the weed control much easier. One of the greatest benefits of growing your own ‘food’ is that you can grow them organically, free from all kind of pesticides and chemicals and you can also save some money on it, especially if you prefer organic produce. 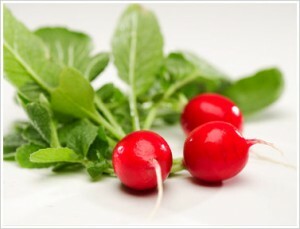 Radish – It grows very fast from seeds as wells from seedlings. Fantastic addition to green salads. 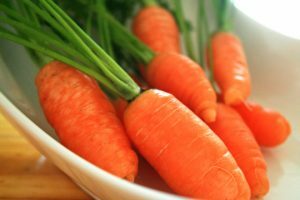 Carrots – Best to grow them from seeds, in a well prepared light soil. Fresh carrots are great for juicing or put them into the kids lunch boxes for snack. 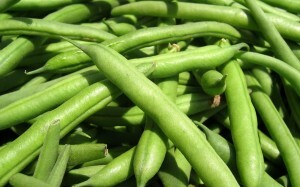 Beans – Can be grown in subtropical and tropical areas this time of the year. If you are interested in improving your health, then beans should be regular part of your diet. 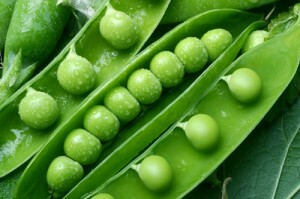 Peas – Make sure you have something for the plants that they can climb up. Great source of fiber and they also taste great. 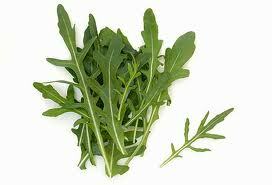 Rocket – Best time to grow them from autumn to spring. Ideal in pots too. You can sow, harvest and replace them often. 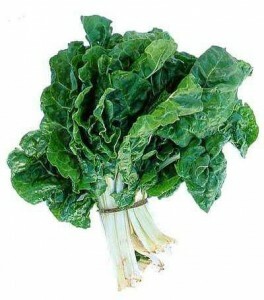 Silverbeet – Best to grow them from seedlings. 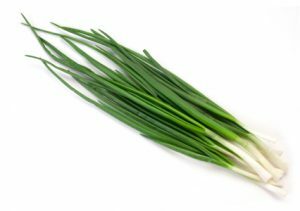 Great source of vitamin K.
Spring Onions – Despite their names they easily grow all year around from seeds or seedlings as well. 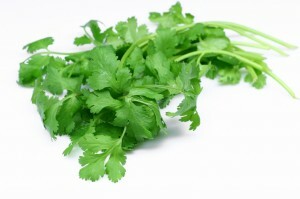 Coriander – Perfect time to grow them from autumn to spring, in garden beds or in pots either from seeds or seedlings. People have often tend to plant too much and when it comes to harvest there is a lot of veggies that they need to eat, cook or even to give away. It is recommended to leave some spots empty and then do another sowing in three to four weeks time again. That way you get to enjoy your homegrown veggies longer and in smaller quantities at once. Also another option could be to share the seeds or seedlings with family or friends at the time of planting, so you don’t end up with too much gluts. Once you are done with the planting, make sure you clean your gardening tools and put them away in your shed so they will be ready to be used next time when you need them. I learned a lot from this article and you did a great job with the list of things to plant. I am looking forward to planting some of these as soon as the rain lets up. When it gets hot out are there certain vegetables that grow well? I am wanting squash like zucchini and yellow but I am not sure if these are planted from seeds or seedlings. More than any fruit or vegetables, I like having spices on hand via a home grown garden. I like spices such as cilantro and parsley. And as far as vegetables go, I like cherry tomatoes. The only problem I imagine I would have with growing greens is the bothersome worms and bugs that love to feed off of the green leaves of plants. You almost always have to learn how to control all those pests. Some of the green leaf plants actually help you to keep the pest away. I’ll most likely put a post together on how to gear up against common pests in the garden as it seems to be coming up discussions here often. Thank you for your comment, appreciate it. 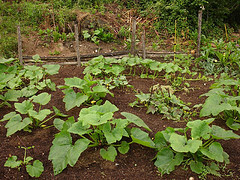 Hey Thomas, squash like zucchini can be planted from seeds and seedlings, depending what part of the year you plant them. Veggies that do well with heat … hmmm Tomato is one of those that can handle hot weather pretty well. I know this is about vegetables but when should you plant fruit? Like strawberries and blueberries? What other fruit gets planted? I know cherries and apples are on trees but what else is grown from seeds? I guess there are cantaloupe and watermelons. Will you possibly do a post for fruit as well? Thank you for this one I appreciate it. Good questions, I’ll put it on my list and look into writing one on strawberries and melons. Thank you for raising that. I’ve never been a gardener really, my parents had one that I had to work in when I was a kid but I’ve never planted one for myself. With the way food prices are getting I think it would be good to start thinking about growing our food ourselves. This was a very good article and I learned quite a bit, will you be posting for what’s good to plant in the summer and spring. Yup, I love gardening and will be posting more articles on gardening topics, including spring and summer. I am in Australia, so this is our autumn (fall :). We’ll be posting more seasonal gardening articles here as we are going through the seasons. I’m going to be back again (regularly) to check up on new posts. You have touched some good points in this post. Anyway keep up writing on such content please. like to shoot you an e-mail.